This is a scalable context timeline. It contains events related to the event August 20, 1998: ISI Alerts Bin Laden and Taliban to US Missile Strike. You can narrow or broaden the context of this timeline by adjusting the zoom level. The lower the scale, the more relevant the items on average will be, while the higher the scale, the less relevant the items, on average, will be. President Clinton is aware of the links between the Pakistani ISI, Taliban, and al-Qaeda. In his 2005 autobiography, he will explain why he did not warn the Pakistani government more than several minutes in advance that it was firing missiles over Pakistan in an attempt to hit Osama bin Laden in Afghanistan (see August 20, 1998). He will write: “Although we were trying to work with Pakistan to defuse tensions on the Indian subcontinent, and our two nations had been allies during the Cold War, Pakistan supported the Taliban and, by extension, al-Qaeda. The Pakistani intelligence service used some of the same camps that bin Laden and al-Qaeda did to train the Taliban and insurgents who fought in Kashmir. If Pakistan had found out about our planned attacks in advance, it was likely that Pakistani intelligence would warn the Taliban or even al-Qaeda.” [Clinton, 2005, pp. 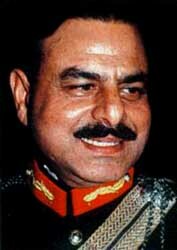 799] Despite this precaution, it appears the ISI successfully warns bin Laden in advance anyway (see August 20, 1998). Clinton takes no firm against against Pakistan for its links to the Taliban and al-Qaeda, such as including Pakistan on the State Department’s list of state sponsors of terrorism. Bin Laden’s satellite phone is being monitored by US intelligence at the time of the US embassy bombings in early August 1998 (see November 1996-Late August 1998 and 10:35-10:39 a.m., August 7, 1998). Washington Times Article Falsely Blamed - On August 21, 1998, an article in the Washington Times says of bin Laden, “He keeps in touch with the world via computers and satellite phones…” The Washington Post will later note, “The information in the article does not appear to be based on any government leak and made no reference to government surveillance of bin Laden’s phone.” Other articles published on the same day make similar claims. However, it will become widely believed that this article causes bin Laden to stop using his satellite phone, which is being secretly monitored by the US (see November 1996-Late August 1998). [Washington Post, 12/20/2005] For instance, the 9/11 Commission will later blame this article and President Bush will repeat the story in late 2005. However, bin Laden’s use of a satellite phone was already widely publicized. For instance, in December 1996, Time magazine noted that bin Laden “uses satellite phones to contact fellow Islamic militants in Europe, the Middle East, and Africa.” In 1997, bin Laden actually talked in a CNN interview about his use of satellite phones. 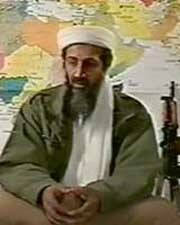 Bin Laden Tipped Off by Missile Strike? - One possible explanation is that bin Laden stops using his phone after the August 1998 missile strike aimed at him (see August 20, 1998) for fear that the phone was used as a homing device for the missiles. The phone was in fact used as a homing device, and Defense Secretary William Cohen publicly acknowledged this by early 2001. 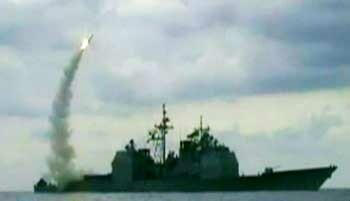 The missile strike took place just one day before the Washington Times article. [United Press International, 2/21/2001] In 1998, a US man named Tarik Hamdi delivered a new battery for bin Laden’s phone. A former head of the CIA’s Counter Terrorism Center has stated that the battery was somehow bugged to improve US monitoring of bin Laden (see May 28, 1998).